The night before we took off for our annual family vacation, I whipped up this carb heavy dessert (turned decadent breakfast should there be leftovers) as a parting/happy holidays offering for my beloved grandmother. Due to recent complications with her health, she’s not allowed to eat too much sweet, fatty or really just rich foods. 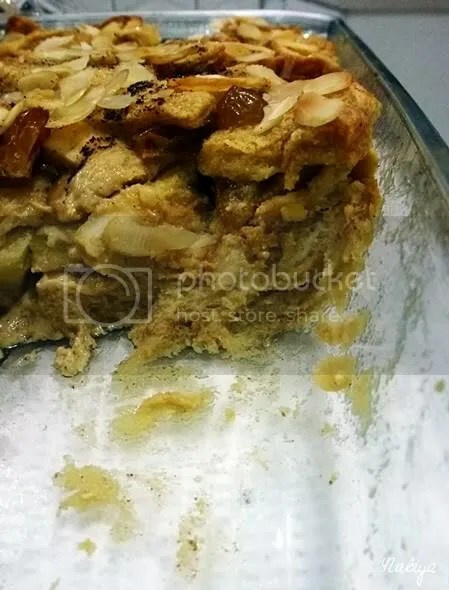 I thought some juiced up bread pudding would be a good treat for her (if her blood sugar level cooperated, which it did). 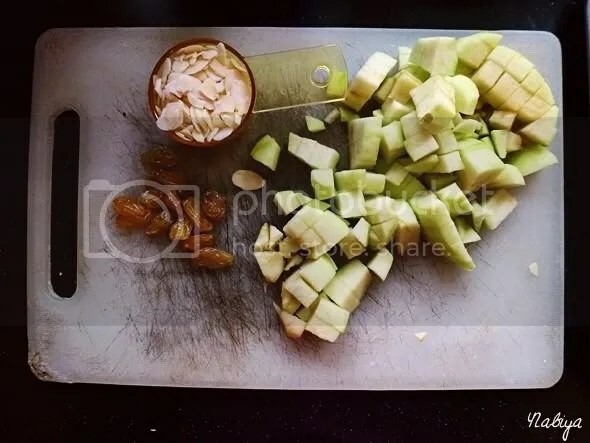 Bread pudding is the easiest and quickest thing to whip up, and yet it’s so rewarding to scoop into one and if you’ve been a very good girl or boy, pour some cream and honey over it… yum! 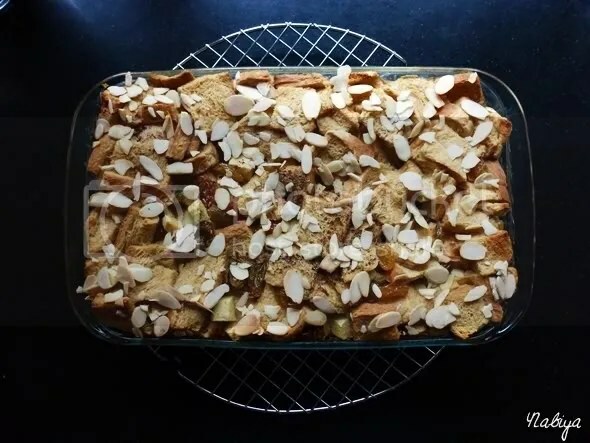 The bread pudding my aunt usually makes is just a simple bread and butter pudding, but I found this delicious-looking recipe on Smitten Kitchen and thought some jazzing up was definitely in order, especially for the holiday season. If we can’t spoil ourselves during Christmas break, when else are we supposed to? Am I right? Though one would argue that I spoil myself on a daily basis. Enough rambling, on to the recipe! Anyway, the pudding’s all gone now and I’m back from my holiday. Went to visit Nini (that’s my granny!) today and just chilled out with her while she talked politics and I read The Hunger Games (again). 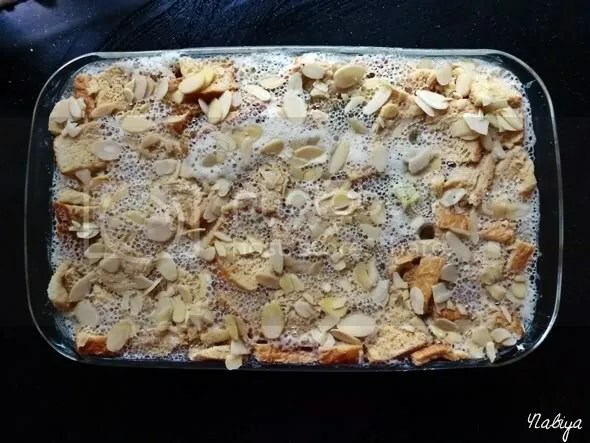 I’m now sort of craving some bread pudding again, though after my short trip to NZ, I have some recipes I’m DYING to try out. We’ll see how the rest of the week goes, if I recover from my jet lag enough, I may just have some time to whip up one or two after work. Hope you all had a fantastic holiday, and to 2012, I have only this to say: Challenge accepted!